There are some very good companies with lots of experience and literally millions of happy graduates out there, but you as an individual probably have no clue who those schools are. Of course, not all homeschool drivers ed programs are created equal. Some of them are great, while some are obviously just in it to make a buck instead of what they should be really doing – giving teens a great start to a life of safe driving. Hopefully, these reviews of the best homeschool drivers ed courses will help you in your decision of which online drivers education school to choose. Before I get into the actual reviews (which by the way have been updated for 2019), I’d like to give some advice on what to watch out for. When looking at online driving schools, there are some red flags that should steer you away from certain places. These are the main reasons people unknowingly sign up for a poor quality online drivers ed course. While not quite as bad as it was in the past, sometimes a website will be designed to look like a legitimate and unique homeschool drivers ed course, but in reality, they don’t even operate their own program. They simply resell an already existing course and brand it under their own name. So instead of signing up directly through a legitimate online driving school, you’re signing up for a middle-man. The consequences could mean anything from voiding money back guarantees to entering personal information through a non-secure website to very poor customer service and even paying more for the course than you could have gotten elsewhere. It can be very difficult to detect these resellers. Always check to see if your homeschool drivers ed class is listed on the Better Business Bureau website. If they have a good score and have been around for a couple years, you should be good to go. If they aren’t listed, be wary. It could be a third party provider you’re signing up for. Sure, some good driving schools exist that aren’t on the BBB website, but wouldn’t it be nice to have that piece of mind? You can also check out your states specific motor vehicles website. Some states don’t make the information easy to find, but most will have a list of certified homeschool drivers ed courses on their site that is constantly updated. If a drivers ed website can’t even maintain a nice, clean looking homepage that functions well, do you think the actual course will be much better? A poor looking homepage or sales page should be a key indicator that you should look elsewhere. This is unbelievably common in some states such as California. Basically, about 10 to 15 years ago all sorts of homeschool drivers ed courses started popping up and they’ve never been updated since then. These outdated driving schools usually have very poor customer service as well and cost about the same. Just about any homeschool drivers ed course online will have a money back guarantee. This is pretty much industry standard. This will vary by state, but generally, you have either 30 days or until the final exam to get your money back if you don’t like the course. In reality, you should know by the end of the first chapter if a homeschool drivers ed course is right for you or not. Don’t trust any reviews you read online. There are tons of fake reviews for online drivers ed courses out there. So, am I saying you shouldn’t even trust MY reviews? Absolutely! Get your reviews from multiple sources and come to your own conclusion. Most homeschool drivers ed courses use a service called Trust Pilot. Students are asked during the course how things are going and if they can rate the program, but it can sometimes be done in deceiving ways. For example, they may ask students after just the first chapter or in the first 10 minutes how things are going, so you’re essentially reading reviews that are from students who haven’t actually taken much of the course yet. Other reviews online can also be easily faked, so read reviews of homeschool drivers ed courses from multiple sources. Watch For Fake BBB Or Industry Ratings! In addition to fake reviews, many online drivers ed programs have begun showing fake Better Business Bureau ratings or ratings from other industry watchdogs. Many homeschool drivers ed programs have been downgraded from A+ ratings to C or lower recently, yet schools have conveniently forgotten to update the A+ badges on their websites. Other schools will post certificates that LOOK like they were issued by the Better Business Bureau when in fact, they were not. Always click on the links or badges that give online driving schools favorable ratings. If those badges do not include links, you can either manually check or just assume something is up. As a driving instructor back in 2009, I saw the writing on the wall. Driver training was going to move out of the classroom and online. That’s why I decided to get involved with online driving schools. I was specifically involved with creating online driving courses for truck drivers, but I worked very closely with all the big online drivers ed schools out there. I will now share my insider knowledge with you. Per my experience, these are the absolute best online homeschool drivers ed courses available. These courses are personally reviewed by me every year so I can keep track of their updates over time. Unlike my online traffic school reviews where I offer many good choices, there are only 4 main homeschool drivers ed courses I can recommend. As always, you should do your own research, but I highly recommend you stick with one of the below homeschool drivers ed courses. Aceable is without a doubt, the absolute best online drivers ed school to ever exist. I know that sounds a bit dramatic, but no other online drivers ed course comes close to the quality that Aceable provides. This is actually the newest homeschool drivers ed course to hit the market. Normally, I would recommend going with the more experienced guys, but over the past 3 years Aceable has proven to be the newcomer this industry needed. The vast majority of online drivers ed courses out there are so outdated it’s painful. Just page after page of boring text and a few “interactive” quizzes mixed in. Aceable takes things to a whole new level. Graphics, animations, 3D and 360-degree videos, games, and all sorts of ways to help increase student retention rates. This course is actually pretty entertaining. Aceable is also the best course if you plan on using a mobile device or tablet. They have built actual apps for each individual device to make sure it worked perfectly no matter how you are taking the course. A lot of other online homeschool drivers ed courses have “mobile versions” but they don’t quite cut it. If you want my top recommendation, Aceable is it. If you want more information, check out my full Aceable review here. DriversEd.com has been around for well over a decade and is arguably the single most popular homeschool drivers ed course right now. 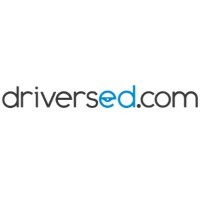 DriversEd.com is a bit unique as they also offer their own behind-the-wheel driving instructors. Depending on where you live, you might be very familiar with their fleet of Mini-Cooper drivers ed vehicles. So, if you are still looking for a driving instructor, this course may be a good idea as they can offer you a bundled package of homeschool drivers ed plus behind-the-wheel driving instruction. What I really like about DriversEd.com are their 3D videos where you actually have to make a choice about what to do with certain driving hazards. They also have some great games, such as their “road sign matching game” that makes retaining the information much easier. This is a fantastic interactive homeschool drivers ed course that can also take care of your behind-the-wheel training. They are certainly worth checking out! Can’t decide between Aceable and DriversEd.com? Read my full comparison of Aceable vs DriversEd.com. While this homeschool drivers ed course isn’t as high quality, it’s usually much cheaper than other options and is also an extremely popular online driving school. The reason I still listed this school is because the actual material is solid, they’ve been in business for a long time, they’ve maintained an A+ rating through the BBB, and they are usually the cheapest option available. This is a very good course as long as you understand what you’re getting into. It is mostly a text-based program and doesn’t have all the flashy videos, animations, and interactive features that many other homeschool drivers ed courses have. Driver Ed To Go is also a good choice for those with a slower internet connection. As someone who had to endure satellite internet for a few years, I can certainly sympathize with those of you that still have slower internet. Since this course is mostly text-based, it will run much faster than some of the other options. This is definitely the top choice for the budget minded who still wants a decent quality course with a great reputation at a cheap price. Improv Traffic School is one of my personal favorites due to their comedic teaching style. This homeschool drivers ed course was developed by Hollywood writers from the Improv Comedy Club chain. They call their teaching style “edutainment” because they entertain students while they learn. They have a certain slapstick style of comedy that not everyone will enjoy, but I think it is a great approach to help students retain information as the comedy approach helps to keep the attention of students. Like most high-quality online drivers ed courses, they offer multiple content delivery formats including written text, video, animations, and even interactive games. They also have a great U.S. based customer service team if you have any issues along the way. Their reviews from various places around the web are positive and they have an A+ rating with the Better Business Bureau. So, if you’re looking for an online drivers ed course that won’t make you fall aslee, Improv Traffic School is definitely an option you should consider in 2019. Is Online Drivers Ed Really Better Than A Classroom? For the vast majority of drivers ed students, yes. Taking drivers ed online is a fantastic option for almost everyone. However, an online drivers ed course is not advised for students that have self-motivation issues or lack a high amount of self-discipline. Luckily, most drivers ed students are naturally motivated. Getting that drivers license is something most teenagers have looked forward to for a very long time. Also, since an online course is designed to be interactive, students generally are forced to pay more attention than in a classroom-based drivers ed course. Plus, students can do the course at their own pace. No early mornings, no forced class times, and no boring lectures. Students only have to go to “class” when they want and they can go for as long as they want. Needless to say, this increases retention rates at an immeasurable level. So in short, yes, online drivers ed really is better than a classroom! Check out more online drivers ed reviews here.